Belarus turns into a huge exporter of liquefied petroleum gas (LPG) to neighbouring Ukraine and Poland. Belarus’ economic authorities have managed to obtain a credit for business confidence. The prosecutor’s office intensively detects violations in the Belarusian army. Belarusian authorities declare a war on network fakes. Minsk Dialogue Forum becomes the first attempt to identify the fundamental gaps in the regional security architecture. The visit of Russia’s entire leadership fails to result in significant outcomes. 77% of Belarusians have either a positive or a neutral image of the EU. Contemporary Belarus bears less and less resemblance to the persistent but worn narratives about the country. This and more in the new digest of Belarusian analytics. Never Mind the Oysters, Belarus Grows Into Big LPG Exporter – Damir Khalmetov, Reuters, notes that Russian tensions with Ukraine and the West help Minsk work with Moscow and European states, gaining additional profit as a trade mediator and a way to gain access to the Eurasian Economic Union. This year Belarus also turned into a huge exporter of liquefied petroleum gas (LPG) to neighbouring Ukraine and Poland. Trust as Driver of Economic Growth: Guidance – Alexander Chubrik, IPM Research Center, notes that in recent years, Belarus’ economic authorities have managed to obtain a credit for business confidence. The important task now is to strengthen this trust that will help mobilize domestic investment and create new jobs in the private sector. It is also important for the state to focus on institutional reforms. The situation in the Field of National Security and Defense of Belarus. May 2018 – Monthly monitoring of Belarus Security Blog draws attention to the intensity of the prosecutor’s office in detecting violations in the army. The fact of the publication of offence cases can be regarded as an extreme concern of Lukashenka personally to the state of legality in the troops. Authorities Declared War On Network Fakes. And Armed By Them – Artiom Shraibman, TUT.by argues about a suggestion of the Belarusian general prosecutor to punish not only for libel and insults but also for distributing “unreliable information”. 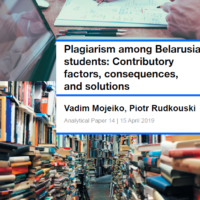 The problem is not in good intentions of the Belarusian authorities: Belarusian practice shows that almost any sharp criticism in the officials’ address could be considered as “unreliable information”. Belarus, the Borderlands and the U.S.-Russia Standoff – Eugene Chausovsky, Senior Eurasia Analyst at Stratfor, highlights that like other states in the European borderlands, Belarus will continue to seek to take advantage of the Russia-West standoff to meet its strategic interests. These countries will be unable to escape their geopolitical vulnerabilities because their fates are shaped by the larger powers surrounding them. 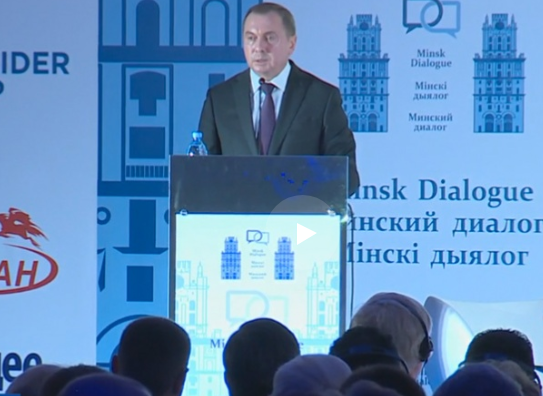 Minsk Dialogue Forum: Why This Is Important – Denis Melyantsov, one of the organizers of the Minsk Dialogue Forum, explains why the forum has become a landmark event for Belarus. Organized by an independent expert initiative, the forum gathered half a thousand leading analysts, provided a space for Alexander Lukashenka’s speech, and became the first attempt in such a representative circle to identify the fundamental gaps in the regional security architecture. Russia’s Entire Leadership Team Visits Minsk – Grigory Ioffe overviews the media reaction on the visit to Belarus a team of top-level Russian guests, including President, Prime Minister and the heads of both chambers of the Russian parliament on June 19. 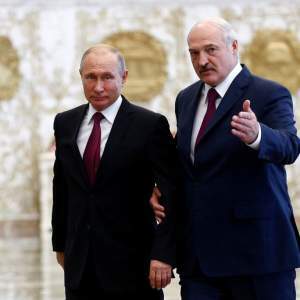 The author summarizes that the last Lukashenka-Putin summit did not result in any sensational outcomes. 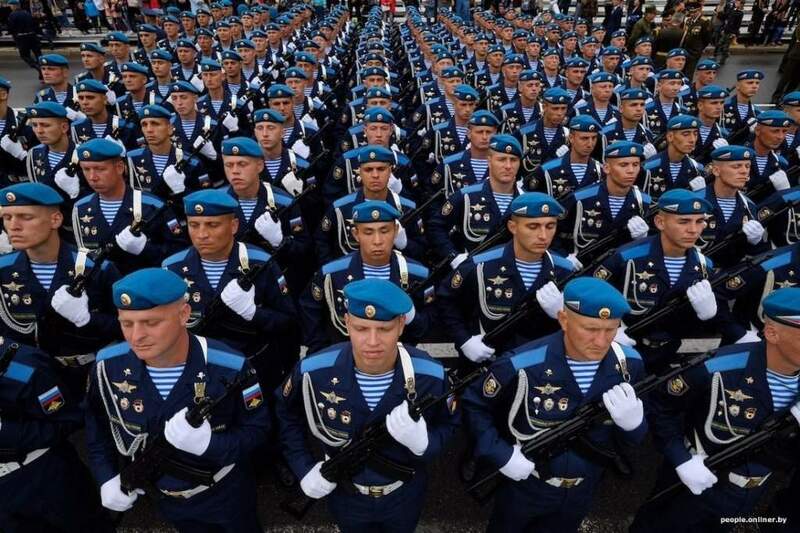 July 3rd Parade is Fraught with Consequences for Minsk – The participation of foreign servicemen in the parade in Minsk on July 3rd is fraught with new complications in military-political relations between Belarus and her neighbours. In particular, this year’s event was attended by the ceremonial squad from Russian Pskov that participated in the aggression against Ukraine. Under Lukashenka, There is No and Can Not be a Pro-Russian Opposition in Belarus – Political observer Artiom Shraibman reflects whether it is possible to combine national interests and integration commitments of Belarus and Russia, says that Russia can rely less and less on Belarus in foreign policy, and believes that the West does not intend to overthrow the existing Minsk regime. EU Neighbours East’s Annual Survey: Belarus (3rd Wave) – The opinion polls are carried out in the six EU’s Eastern Partner countries to investigate the opinion and the level of awareness about the EU and the EU cooperation. 77% of Belarusians have either a positive or a neutral image of the EU, with only 18% negative; 47% trust the EU, exactly the same number as those who trust the Eurasian Economic Union (47%). Relations with the EU: Agenda, Problems, and Solutions. Parameters of ‘Critical Interaction’ – Dzianis Melyantsov notes that Belarus’ relations with the European Union (the second trade and economic partner after Russia) are controversial. On the one hand, there is a steady growth in trade, but on the other – an absence of a legal basis and a delay in negotiations on a number of important agreements. How Belarusian Cities Can Present Themselves At the International Level – Marina Borisova, Interakcia Foundation, presents a kit of international cooperation opportunities for Belarusian cities. The author notes that some barriers to international cooperation like language handicap can be overcome with the help of CSOs. As a rule, CSOs are more aware of such opportunities. Clichés Clashing With Real Life in Belarus – Grigory Ioffe believes that contemporary Belarus bears less and less resemblance to the persistent but worn narratives about this country. Based on the recent developments like a public discussion around a rainbow gay pride flag at the UK Embassy in Minsk, the author concludes that staying away from habitual clichés continues to be the best prescription for foreign policymakers. Belarus Digest prepared this overview on the basis of materials provided by Pact. This digest attempts to give a richer picture of the recent analytics on Belarus. It often goes beyond the hot stories already available in English-language media. Good Neighbour festival gathered around 120 grassroots leaders in Minsk. Urban festival Kartonka held in Vitebsk for the first time at a local printing plant. Petitions.by team starts a tour over Belarus to change the regions for the better. Civil society involves the business and the media community in the discussion of the restaurant near Kurapaty and puts a pressure on the restaurant’s owners. The report by Legal Initiative CSO confirms human rights violations in the Belarusian army. Her Rights Center discussed not-for-women jobs in Belarus. UN Human Rights Council adopted a critical resolution on Belarus, ‘absurd by design and substance’ according to Belarusian MFA. This and more in the new edition of Belarus civil society digest. Good Neighbor festival gathered around 120 grassroots leaders in Minsk. 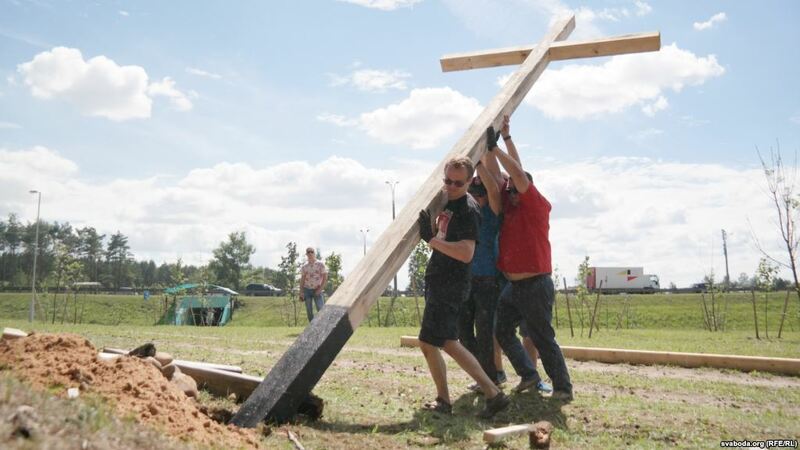 The event took place on June 30 and aimed to share best practices in engaging neighbours into joint activities to change the life of their local communities. The event was organized by the Office for European Expertise and Communications and supported by the US Embassy. CSOs presented themselves at Our Day festival. On June 30, the Assembly of NGOs brought together civil society organizations and initiatives to present the third sector at a large music festival of Belarusian music Our Day. 12 CSOs organized their interactive, creative spots at a zone of civic activity. ART picnic Mezhan’ to be held on July 14-15. This is an annual open-air festival held by downshifters who moved to live to Chyrvony Kastrychnik village in the Gomel region. They bought most of the houses there and organize festivals and excursions for the youth to promote the rural way of life. The art picnic includes fair of artisans, performances, as well as starry sky and amazing beauty of nature around. Biz4all-2 School trained new social entrepreneurs. The final presented 16 teams, which showed that many charitable projects and CSOs put the business component in the first place, which reduces dependence on foreign assistance. The Biz4all-2 School was held under Incubator of Social Entrepreneurship program, organized by ODB Brussels and supported by the EU. ECLAB has the fourth graduation of students. During the academic year, the students took up to 10 academic courses. European College of Liberal Arts in Belarus (ECLAB) was created in 2014 as an informal alternative to the system of Belarus’ higher education with its shortcomings from the Soviet epoch. The Liberal Arts model combines research, contemporary art, intellectual journalism, and teaching. Belarus Urban Fellowship accepts applications. The new program is organized by the New Ideas Center and designed for new leaders under 30 years’ old who is engaged in the development of regions and small cities. The first three sessions of the program will be held in Minsk and the fourth – in Berlin. Applications are accepted until July 15. Media Management School opens its next set. During 5 months of training, the participants will deepen their knowledge in strategic planning, content management, the editorial board organization, etc. The School works since 2017 and has almost 50 graduates. The School is organized by Studio for Useful Competencies (Hrodna) and IBB School of Journalism. Deadline for applications is August 1. Petitions.by team starts a tour over Belarus to change the regions for the better. The organizers warn that they are not going to solve problems instead of local residents, but help to form a team of activists and tell how to achieve specific results. Petitions.by is a website through which every Belarusian can exercise her/his right to take part in governance through e-appeal to state bodies. Civil society wins concessions while defending Kurapaty. The protest leaders attempted to enter into a dialogue with the authorities to discuss the situation around the place of Stalin-era executions near Minsk. They also involved the business and the media community in the discussion and put pressure on the restaurant owners near Kurapaty. Theatre play is dedicated to the construction of a battery plant. The independent theatre Krylya Khalopa in Brest presented a performance titled Antigone.IPOWER. The play is linked to the ancient Greek tragedy Antigone with the activity of Brest residents against the construction of a battery plant near the city. Thus, the art raises and communicates current public problems. Talaka: 4 out of 5 Belarusian crowdfunding campaigns fail. During 5 years of its activity, a crowdfunding platform Talaka.by launched 1,824 initiatives. However, the results show that only 1 in 5 running projects successfully implemented. Most of them stop in the beginning. To solve this problem, Talaka kicks off its own crowdfunding campaign Talaka 2.0 to upgrade its functional. Discussion about not-for-women jobs took place in Minsk, on July 9. The event was organized by Her Rights Center and presented a survey on the list of prohibited jobs for women in Belarus. The list includes 181 professions and 42 working fields and forbids women to work as a diver, a carpenter or a driver of long-distance passenger buses with over 14 seats. CASE Belarus: Employment of former prisoners can be profitable. The benefits of re-socialization and recruitment of former prisoners in Belarus can be up to $56K per person. This is one of the findings of a study on the assessment of the program for the reintegration of the released from prisons, conducted by the CASE Belarus Research Center. The study involved 30 former prisoners during 2014-2017. Report on monitoring human rights violations in the Belarusian army released. 171 respondents took part in the online survey conducted by Legal Initiative CSO. 56.1% answered positively to the question of applying psychological pressure, a humiliation of honour and dignity during their obligatory military service. An interactive map with problematic military units of Belarus is expected on the results of monitoring.